While freedom of speech is permissible in the U.S., for centuries, hateful and violent rhetoric targeting Jews has been invariable in the religious and political discourse of Muslims, and is now as common in US and Canadian mosques, as in the Middle East. While many Muslims seem never to tire of complaining about "Islamophobia" against their communities, they seem to have no problem disseminating hate speech -- and sometimes hate acts -- against other groups. Statistics show that blacks, gays and Jews are far more disproportionately targeted for hate crimes in both the U.S. and Canada than Muslims are. When did anyone in North America last hear of ministers in churches or rabbis in synagogues calling for the death of Muslims? Progressive Muslims and their imams should be promoted, consulted, and celebrated. Since U.S. President Donald Trump recognized Jerusalem as the capital of Israel on December 6, 2017, at least three U.S. imams have called for the death of Jews -- not Israelis: Jews -- in Friday sermons at mosques across the U.S., which treasures freedom of speech, no matter how distasteful -- unless it is "directed at inciting or producing imminent lawless action" or "likely to incite or produce such action." In Canada, however, there is no freedom of speech -- meaning that "hate speech" is regarded as a crime that can be prosecuted. A few years ago, imams who did call for death of Jews in Canada resulted in some of these imams being investigated or prosecuted. It is important to know what is being said, and by whom. 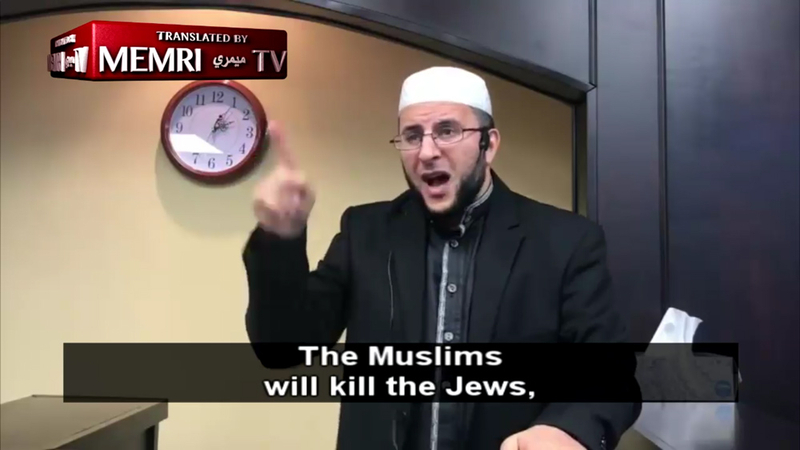 On Friday, December 8, 2017, for example, a sermon delivered in a Raleigh, North Carolina mosque, a U.S.-based Syrian imam, Abdullah Khadra, cited an anti-Jewish hadith (saying or act of Muhammad) that says, "By the end of time," Muslims will exterminate all Jews. The sermon was recorded and transcribed by the Middle East Media Research Institute (MEMRI). He then prayed for Allah to grant him martyrdom while fighting the Jews, and the annihilation of all of "the plundering oppressors." In the wake of criticism, Elkasaby was suspended by his Islamic Center, and Al-Rousan issued an apology and condemned terrorism and incitement to hatred. The problem is, that while freedom of speech is permissible in the U.S., for centuries, hateful and violent rhetoric targeting Jews has been invariable in the religious and political discourse of Muslims, and is now as common in American and Canadian mosques as in the Middle East -- more than Westerners may have expected or understood. Also as in the Middle East, as imams have considerable influence in their communities, such rhetoric from Muslim imams in the "West" has a good chance of leading to violent attacks in Canada or America. While many Muslims seem never to tire of complaining about "Islamophobia" against their communities, they seem to have no problem disseminating hate speech -- and sometimes hate acts -- against other groups. Statistics show that blacks, gays and Jews are far more disproportionately targeted for hate crimes in both the U.S. and Canada than Muslims are. When did anyone in North America last hear of ministers in churches or rabbis in synagogues calling for the death of Muslims? There seems to be a need for educating an incoming group about pluralism, tolerance and to begin thinking in terms of "if the shoe were on other foot." If there is an expectation that Muslims and Islam is superior to other religions, then people, governments and NGOs might do well to disabuse Islamic clerics of this self-aggrandizement and narcissism as quickly as possible. Yes, these calls for genocide (which is what they are) might be commonplace where the imams came from. But the preachers are no longer in monolithic societies, so it might benefit the new world to begin exposing the newcomers to a new way of looking at things. Imams based in the U.S. and Canada who explicitly glorify jihad against Jews deserve attention from political, media and government circles. The U.S. and Canada need to change their immigration and refugee policies to stop letting in people -- and especially preachers -- who have been raised in an enforced orthodoxy of hate and values so antithetical to the humanitarian values that so many in the West cherish, and have fought and died for. Instead, progressive Muslims and their imams should be promoted, consulted, and celebrated. They are the ones who should be invited to the official iftar dinners. They are the ones who should be courted, promoted and helped. I think most Americans understand that freedom of speech has limitations. For example we know that it is against the law to yell fire in a crowded theater, or to tell a flight attendant that you have a bomb on board an aircraft. Yet, we seem to look the other way when Imams call for the killing of Jews, Christians, and political leaders. These guys need to be rounded up and prosecuted. Why should they be treated any differently than anyone else when it comes to hate speech? They most certainly are treated differently. I think its because Western countries don't want to offend the Arab oil cartels.The petrodollar system, investment, defence contracts etc. buy a lot of influence in the West. Unless there is an immediate threat, economic concerns come first in the minds of a lot of politicians. It's hard to know who is and isn't a progressive Muslim. So many have been caught out saying things you want to hear when speaking English, but contradictory views when speaking Arabic. We have learned about Taqiyya. 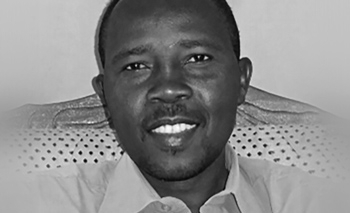 A Kenyan mosque leader said "Radical Islam is a creation of people who do not believe in Islam. We don't have radical Islam, we don't have moderates, we don't have extremists. Islam is one religion following the Koran and the Sunna". The whole intention behind freedom of speech is that one's opinions and criticisms can be expressed - but in a civilized and intelligent way. Issuing threats of death and inciting others to rise up and kill is not "free speech". It is an attempt to create chaos and mob rule and should be outlawed in any society which calls itself rational and civilized. Since anti-Semitism is an essential basic tenet of Islamic ideology, it is difficult to understand how any devout Muslim can deny the necessity for the faithful to hate Jews. Imams in the west who are publically exposed promoting anti-Semitism are usually quick to apologize but the sincerity of the apology is suspect because it contradicts their religious doctrine. Muhammad's hatred of unbelievers, particularly Jews, set in motion a powerful animas that has persisted for nearly 1,400 years and shows no sign of relenting anytime soon. Too late! Those Imams were invited in by Democrats. They are installed in mosques screaming fire in a theater and it is still called free speech? No! They are in fact calling to kill Jews then it is OK, right?